C1340. SIEGMUND von HAUSEGGER Cond. Munich Phil. 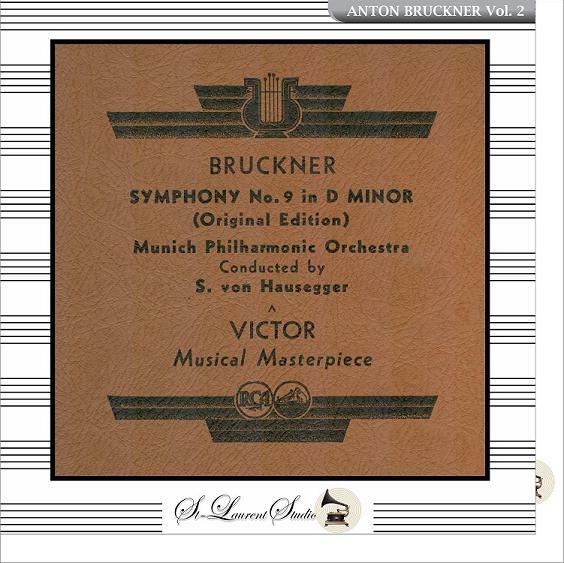 : Symphony #9 in d [Original Edition] (Bruckner). (Canada) St Laurent Studio YSL 78-259, recorded 1938, the first recording of the complete work. Transfers by Yves St Laurent. 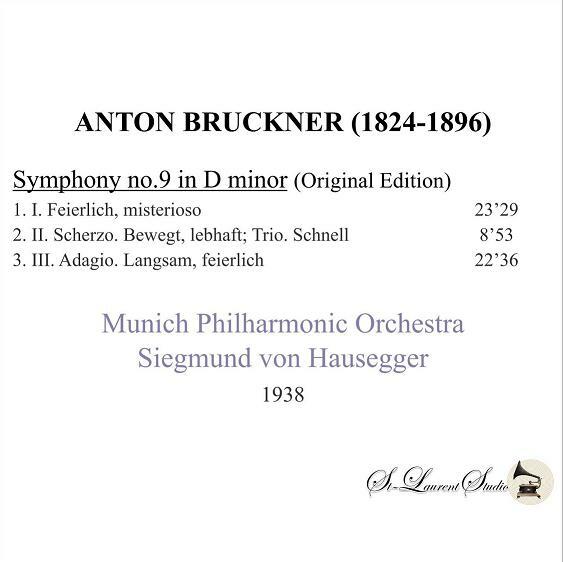 "To von Hausegger fell the honor of the first recording [of the Bruckner 9th]. 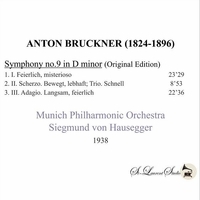 His 1938 set of 78s with the Munich Philharmonic Orchestra is thoroughly convincing, idiomatic and solidly shaped. Steeped in German tradition, it projects an unmistakable image of repressed feeling seething beneath a superficially placid surface."